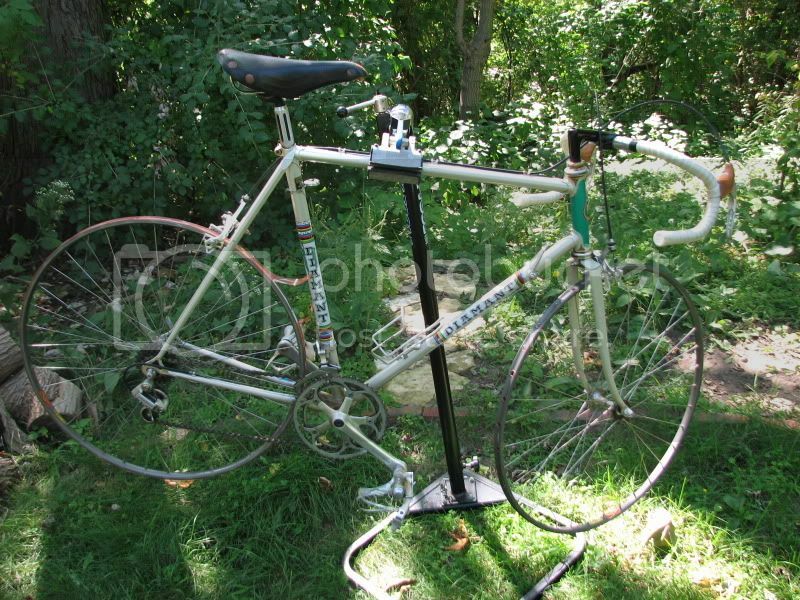 I am looking forward to working on my 1954 Raleigh Sports road bike which is getting a 700c conversion to replace the hard to find Dunlop EA1 wheels and tyres and I found a complete Cyclo 3 speed drive conversion kit (1960's) that will turn it into a 9 speed. If I apply myself I will have it ready for road testing before the snow flies. Now... bad shop pictures I took when I got it in a trade for a scruffy old Trek 720 that was too big for me. 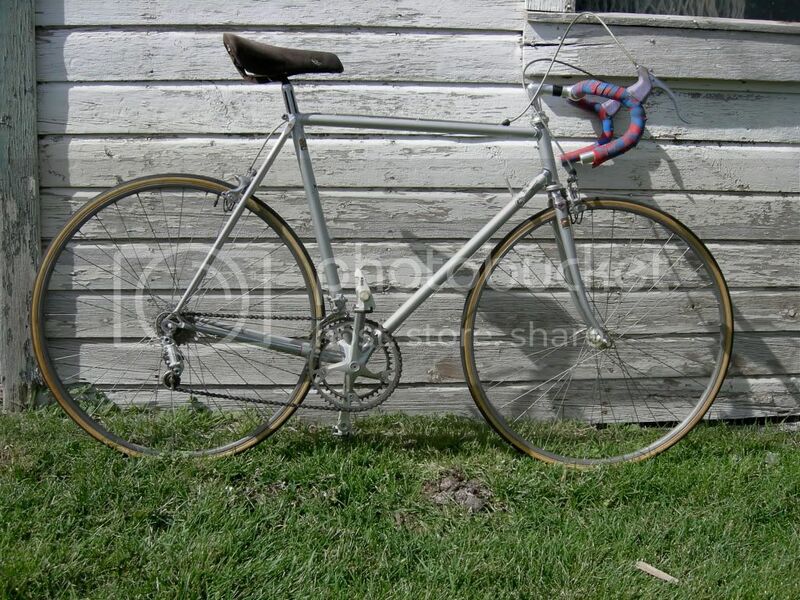 On that note, I saw a 1979 Raleigh Sports today that had a drop bar conversion and dang was that ever a nice bike. I have a few bikes to finish up for my friends this winter... long overdue!! 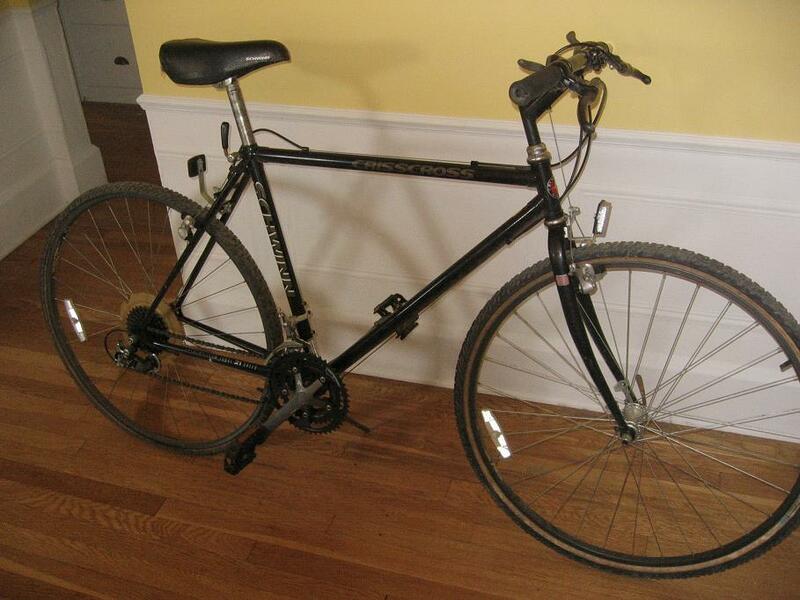 I also have a Raleigh built Western Flyer penciled in for rehab this winter. I live in Florida, fall means I can ride on the roads again without getting baked into a UV-sick cinder. Yeahhh! Ha! I remember visiting Disney World in early spring as a kid. We left Snowy freezing Ohio and enjoyed the 70 degree weather. We were puzzled by all of the local folks dressed in jackets and windbreakers! That Raleigh Sports is worth it for the graphics alone. Is the fork OK? That one pic makes it look questionable. I'm kind of like Ronsonic, in that Fall just means more riding - however, I do have a couple things I'll be doing when it gets really cold. 1. 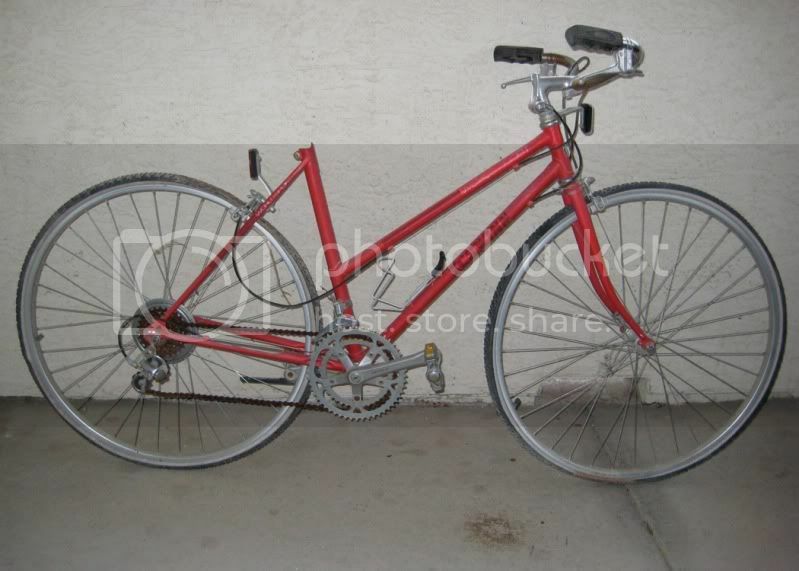 I have a Schwinn Twinn to rebuild - this one needs a lot of work. 2. I am going to completely refurb my Suteki - repack bearings, etc, etc - I might even spring for a powder coat job. 3. I am going to switch parts on a couple of High Sierras - this one will probably happen on a weekend soon. Yep... the bike is straight and true and think that one picture makes the fork look a little off. The stem is frozen up tight so freeing all that up will be step one... I have collected all the parts I need and installing those won't take long at all. The front Ea1 was a write off but the rear wheel and hub is in excellent shape... if I ever want to turn my '55 Lenton (fixed gear model) into a 3 speed I have that wheel at hand. I've got a Takara Touring Deluxe to clean up, that my sister in law pulled out of a creek. Ofmega parts are nice but not as nice as Superbe Pro (few things are). 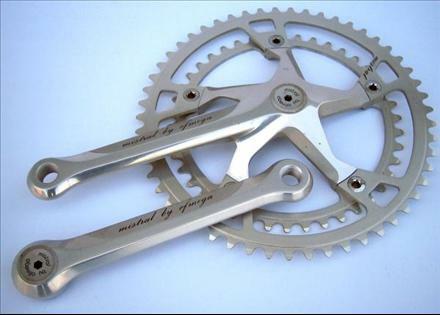 From Velobase... Mistral cranks... if you have these you will be the envy of a few folks. I should clarify, it came with a Superbe Pro crank, and everything else was Ofmega. Mostly it didn't seem to be labeled except the brake calipers, which are Ofmega Vantage. Regardless, it should be a fun one. though i want to keep the bridgestone for myself. im not to sure how i want to build it up though! For Grad School I'll need a big desk. For a big desk, I'll need something Danish. For something Danish I'll need a fixer-upper. For a fixer-upper I'll need to flip a bike! Last I checked, there are 11 or 12 days of summer left. Please don't give them away on me. I expect to finish up a few projects that have been sitting around to get them out of the way. The Ladies' 3 speed 1939 Raleigh Gazelle is item one. The Overland ss is #2, and the secret #3 bike (awaiting the next round of el-cheapo) is the other one. 1-Finished a 2x10 upgrade to an Ironman today. I know, crappy pic, bad angle. I have a few things planned. Working on this right now. It should be finished next week when I receive a few things in the mail. 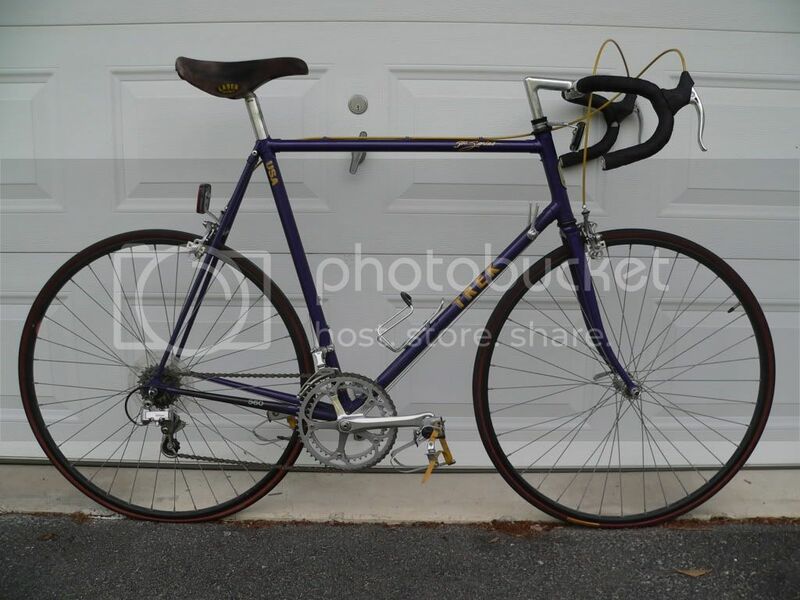 Also working on a Gitane I received in a trade from the same member who brokered the deal for the Diamant. That mid 80's twisted spider design doesn't appeal to me. 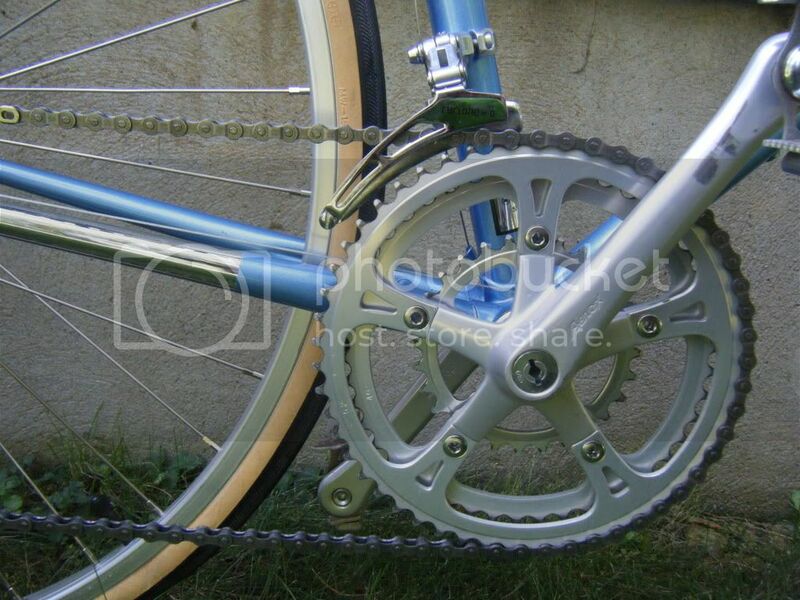 Regardless, those Mistral cranks are nicely crafted. I'm partial to these SR Aerox cranks, essentially because they're not very common. 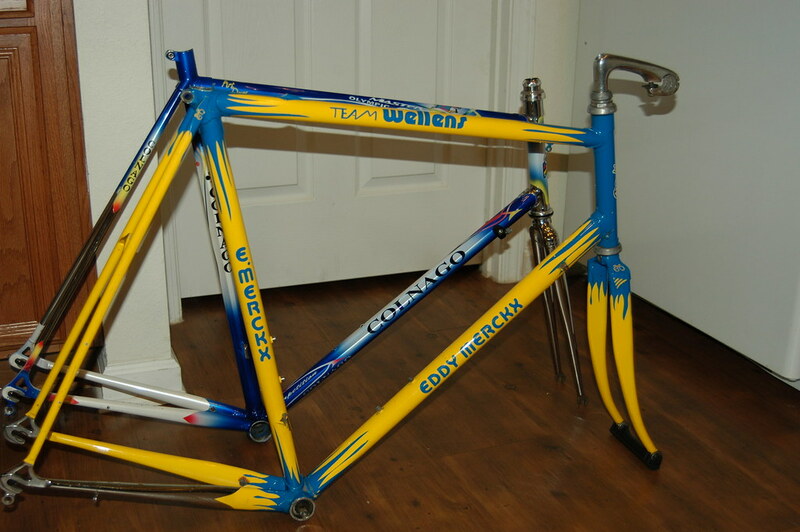 Every bit as good as Sugino AT, but would likely sell for only half the price. Oh yeah, really stupid proprietary 118 BCD, too. They came equipped on an '83 Centurion Pro Tour. 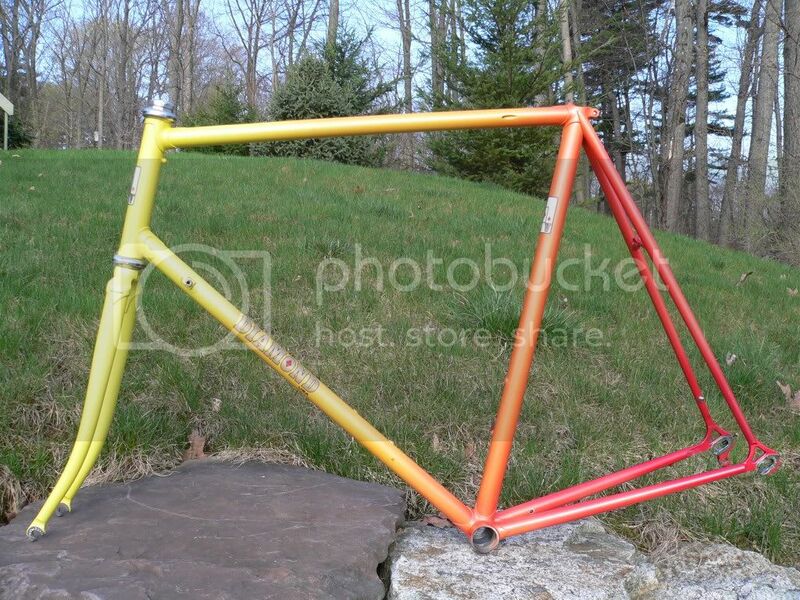 Still have this Greg Diamond frame hanging, waiting to free some funds to gather the missing parts. Really need to find an orange saddle. There's a nice NOS Rolls on fleabay right now, but it's at $99 Yeah, I can't start any build without the appropriate saddle in hand. 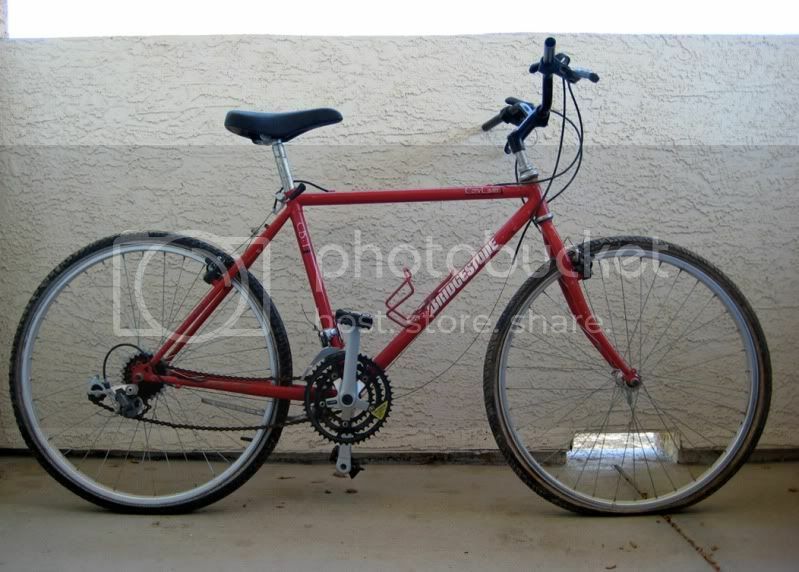 I swear I'll get to this '85 Trek 560 before I die. Full Suntour Cyclone group, FTW! But I'm really on the lookout for a clubman or road/path with lots of patina...I need something with character. I'm going to try to get these two done by the end of this month or it won't be till summer of next year. I'm going to tear my wife's suburban apart and clean it up. 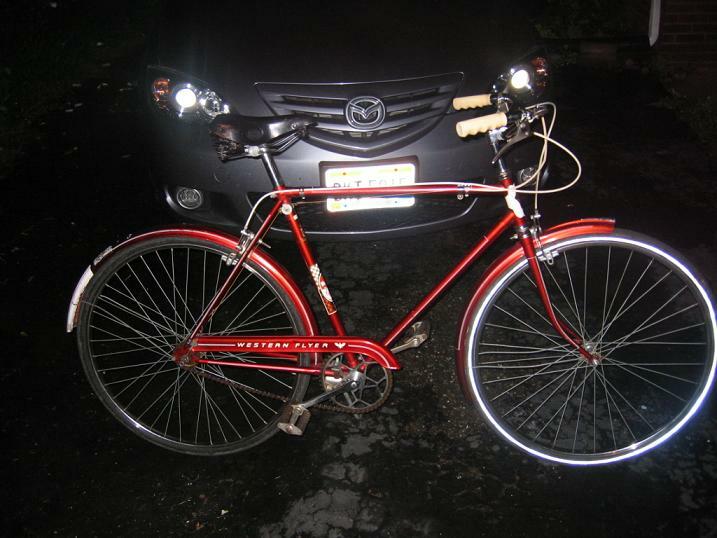 I'd like to get all the chrome parts, the brake calipers, and the derailleur shiny again and based on some advice from a couple of folks here, I am going to use some Meguiars products to refurb the existing paint. I'd also like to get a few dents out of the fenders but I am really not sure how to go about that without damaging the paint. Finally I'd like to buy some replica decals for it since the ones on it are so faded. Who is that guy here that sells the really nice replicas? That mid 80's twisted spider design doesn't appeal to me. Agreed. I've always thought the things look like 5-point swastikas at worst. Yech. 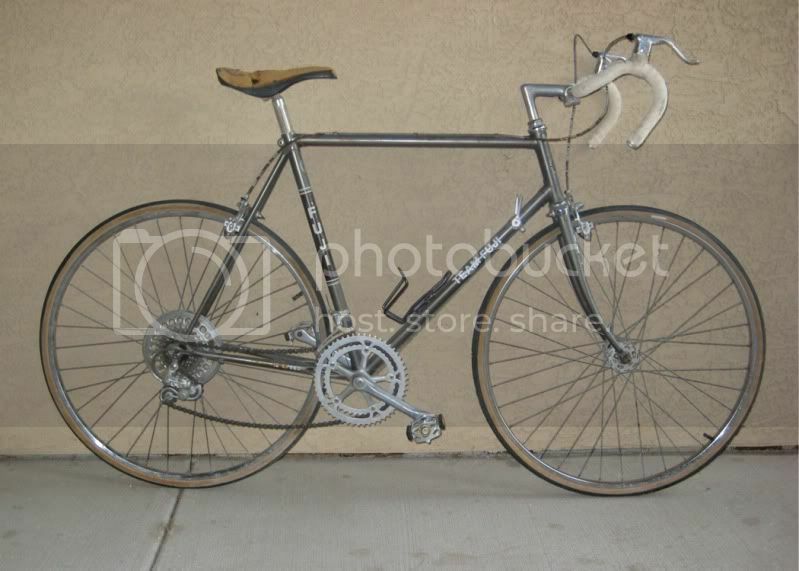 I hope to test ride this old Legnano soon and if the ride works out OK the bike will be restored this winter. I do however need a correct fork set for the bicycle.